Documentary series will explore fundamental issues of human existence from an anti-authoritarian/anarchistic perspective. Films will be released for free online. Rather than dealing solely with the surface manifestations of our societal problems, Anarkos will dig right down to the roots; at the same time it will offer a positive vision for the transformation of society. Estimated number of entries in the film series will be 16 titles, each about one hour in length, released about one per month over a period of just over one year. Though the films will be designed as a series, they will also be self-contained (i.e., viewable as single entries). Initial fund-raising effort will allow for the creation of approximately the first eight titles; a second fund-raiser would be conducted eight months hence to complete the second half of the series. The first entry will be released about three months after the end of the first fund-raiser. 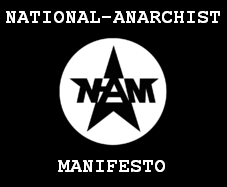 Most of the interview subjects will be self-identified “anarchists”; however, left-Marxists, democratic socialists and academics of various political stripes will also be included. Subject matter will be of interest to all people regardless of political affiliation. Approximately ten percent of the interviews have already been conducted; a few snippets of these discussions have been included in the Anarkos pre-trailer. 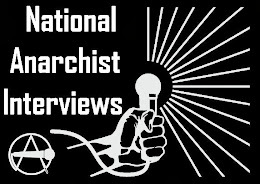 Among those interviewed so far: Noam Chomsky, Howard Zinn (interview conducted a few months before his passing), Michael Albert, Richard Heinberg, Russell Means (Oglala Sioux Activist), John Trudell (Poet; Activist, American Indian Movement), Sharon Smith (Subterranean Fire), Andrej Grubachic (Anarchism: The Revolutionary Movement of the 21st Century), David Abram (The Spell of the Sensuous), Glen Ford (Black Agenda Report), Alfie Kohn (No Contest: The Case Against Competition; Unconditional Parenting), George Ritzer (The McDonaldization of Society), Christian Parenti (The Soft Cage), Carole Pateman (The Sexual Contract) and others. The Philosophy of Anarchism - The Paradox of “Libertarian Socialism”: Reconciling Autonomy & Community. Cooperation & Competition. Horizontalism vs. Hierarchy. Direct Democracy & Consensus Decision-making vs. Representative Democracy & “vanguardism”. DIY Together: Mutual Aid & Voluntary Association. 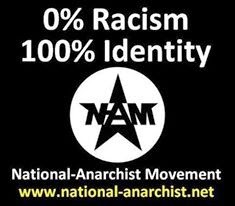 Antecedents to “Anarchism” - The Taoists. The Stoics. The Plebians. The influence of indigenous societies on European philosophers. Anarchism as a "Frontier Philosophy." The development of anarchist philosophy by figures such as Stirner, Proudhon, Kropotkin, Bakunin, Tolstoy, etc. Anarchist Anthropology - Paleoeconomics. A study of social organization amongst hunter-gatherer societies, indigenous peoples, and stateless societies in general. Darwin & Kropotkin (revisited). The Evolution of Hierarchy & Proto-Capitalism - Agriculture and domestication. Primitive Accumulation. Division of labor. Patriarchy vs. Partnership. The Labor Theory of Value. The “Social Contract”. The “Free Market”. The development of primary states. The Witch Hunt. War. Slavery. Genocide. Mechanization - Humans as "cogs in a machine". Authoritarian Technics. Scientific Management. Behaviorism. Luddites. Urbanity. Normality. Alienation. Anomie. The Liberal State - Radicals in the English, French, and American revolutions. The Constitutional Convention of the United States. The Anti-Federalists. Bureaucracy. The Evolution of the Police. Law & Disorder. The “Soft Cage”. Prisons & Punishment. The Panopticon. 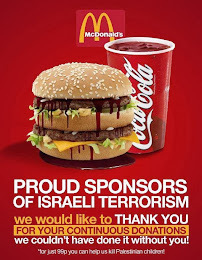 Colonialism to Cold War via World War[s] & Anti-Colonialism. Communism - The bureaucratic "communist" state. Marx vs. Bakunin. The suppression of left-marxists and anarchists under Communist regimes. The Mahknovists in Russia, the Shengwulian in China, left-Marxists in Germany. The “Third World” & The Third Position. The Collapse of Communism. The Fourth World, Anarchism, & Indigenism. Modern capitalism - Wage Slavery. Wealth Creates Poverty: Widening Economic Disparity & Capitalist Cannibalization. Neoliberalism & Economic Colonialism. Right-“Libertarianism”. Money & Banking. Resource Extraction, The Great Anthropogenic Extinction Event, & Other Ecological Crises. Social Breakdown. Modern Warfare. Infowar & Psyops. Capitalism as Collective Suicide. Anarchism in Action Throughout History - Historical manifestations of anarchism under entrenched hierarchy. From The Secession of the Plebs to The Münster Rebellion; from the “Diggers” to the Paris Commune; from the “Wobblies” to the Spanish Anarchists; from the Yippies to MOVE. Postmodern Rebellion: From Zapatismo to Anonymous. Nature vs. Nurture - Birth as a Rite of Passage: The “Medical Model” and the Maligning of Midwifery. Child-Rearing & Education. Inventing the Child: Tell These Stories to Your Children. The Continuum Concept & Attachment Parenting. 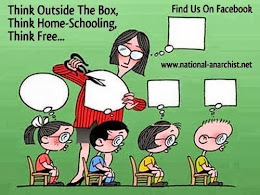 Unschooling. Nuclear Families and Intentional Communities. State Tactics Against Communalism: The Policing of Parenting. Indian Schools, ADD/ODD, & The War on Kids. Rugged Independence vs. Loving Interdependence. Work or Play? - Participatory Economics. Workplace Democracy. Anarchist critique of the division of labor at home (often along sexist or classist lines). Black Market and Fringe Economies. Social Capital. Gift Economies. In Praise of Leisure. Beyond Work. Social planning - Direct Democracy. Consensus Decision-making. Modified Consensus. Dunbar's Number: Questions of Scale in the Matter of Consensus-based Collectives. [Semi-Porous] Borders: The Flight of Capital & The Struggle of Migrant Workers. Architecture/Anarchitecture. Aesthetics. Technology. Synergy. The “Situationist City”. None Are Free Until All Are Free & Nothing About Us Without Us: Working Models of Solidarity, Not Charity. Anarchy and Art - Berlin Dada. Surrealism. Situationism. Pseudomymity, anonymity, and collectivism in returning “art” to the commons. Free culture. Ecology - The Subversive Science. Eco-Spirituality. The Web of Life vs. The Evolutionary Ladder. Deep ecology. Lessons from Indigenous Societies. Human Ecology: Food Production & Population Growth. Permaculture Farms. Animal Liberation. Earth Liberation. Positive Models Today - Indigenous Support Networks. Design Anarchy: The Revolt of the Creative Class. From Free Software to Free Culture: Data Pirates in the Information Age. Food Not Bombs & Food Not Lawns. Permaculture. Freegans, Freecycling, and Urban Foraging. CopWatch. Radical “Mental Health” Networks. Workplace Co-Ops. "Tribal" Businesses. 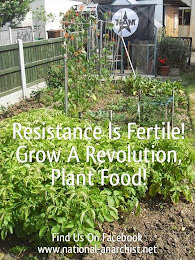 Community Supported Agriculture & Urban Gardens · Recuperadas & Autogestion · Squats, Occupations, Temporary Autonomous Zones, Intentional Communities, Etc. Tactics/Strategies/Advice/Conclusions - [TBD] ...As the film project nears completion, the intention is to develop Anarkos.net using one of many decentralized Free/Libre Open Source social-networking platforms, like Friendica or DIASPORA*, to produce an online hub for anti-authoritarian affiliation. 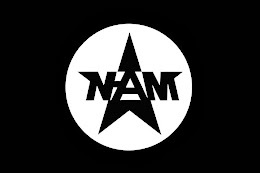 Along with hosting an extensive bibliography, discography, and filmography of all the resources utilized in developing the film series, this website could become a focal point for skillsharing and organizing efforts among the innumerable "anarcho-adjective" activists who presently spend more time seeking to express their differentiation than they spend on uniting via their commonalities. Scott Noble is a writer, director, and documentary filmmaker. In 2008, Noble founded Metanoia Films with the explicit goal of producing socially-conscious & educational video media to be disseminated for free via the Internet. His films have since received over a million views online. Christopher Simpson, Professor of Communication at American University, has stated that his work represents a "revolutionary development in documentary filmmaking", and that “ideally, his films would be featured in every library in the country.” John Stauber, founder of the Center for Media and Democracy, has said that he is "brilliantly and fearlessly pioneering the new filmmaking" and that his films "fan the flames of people-powered revolution". Noble’s film Human Resources was described as a "masterpiece" (David Ker Thomson, University of Toronto) which "diagnoses the 20th Century" (Stephen Soldz, President, Psychologists for social responsibility). His film Lifting the Veil came in at the #5 spot on Films for Action's Top 100 Paradigm-Changing Documentaries. His most recent work, The Power Principle was described by the editor of Information Clearing House as "Probably the best film ever made about American foreign policy". El fantasma amigable, *gasparin, has worked as a professional photographer, freelance photojournalist, and web developer for nearly 20 years. A born anarchist -- wild before having the words to express it -- *gasparin has been deeply involved in major struggles for socio-economic & environmental justice for his entire adult life. A class war correspondent, on the frontlines of anarchist-inspired resistance movements in the Americas and elsewhere as a participant in "the movement of movements". This 'career' as an art-activist & media activist spans the entire lifetime of the widely-known Indymedia project, from its inception in 1999, to the present-day. An autodidactic anarchist historian & ethnographer, fully immersed in the subculture of postmodern rebellion; *gasparin is "embedded" in a unique position to contribute to making this project a reality. For further inquiries, contact *gasparin directly by emailing: gasparin@riseup.net. In order for this project to swiftly move beyond the planning stage, we need numerous individuals, of relatively modest means, to offer financial support. Any amount is appreciated and will contribute towards the final work. The more funding we receive, the more episodes we will be able to produce. With a documentary subject of such long & varied historical and cultural scope, there is really no end to the depths at which this culture could be explored. 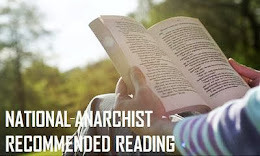 Although we assume that the majority of contributors will be sympathetic to anarchist philosophy, it should be repeated that the series would be of interest to anyone wishing to explore alternate modes of social organization. No particular strain of anti-authoritarian thought will be held up as the superior model. Collaboration will be encouraged at every level. A major goal of the project will be to "crowdsource" the films' contents as much as "crowdfunding" the production... to paint a thorough & accurate picture of contemporary anarchist-inspired movements and the individuals who sustain these movements. Presentation will not be a dry academic exercise but a fluid, visually rich and entertaining production that will appeal to relatively apolitical viewers as well as academics and activists. The goal is to produce the most comprehensive study of anti-authoritarian philosophy ever committed to film.